Safari 6 used to open new windows by default to the Homepage, this behaviour in Safari 7 has been changed to show the “Top Sites” window as shown above. Next to manage the “New Windows Open With:” setting. 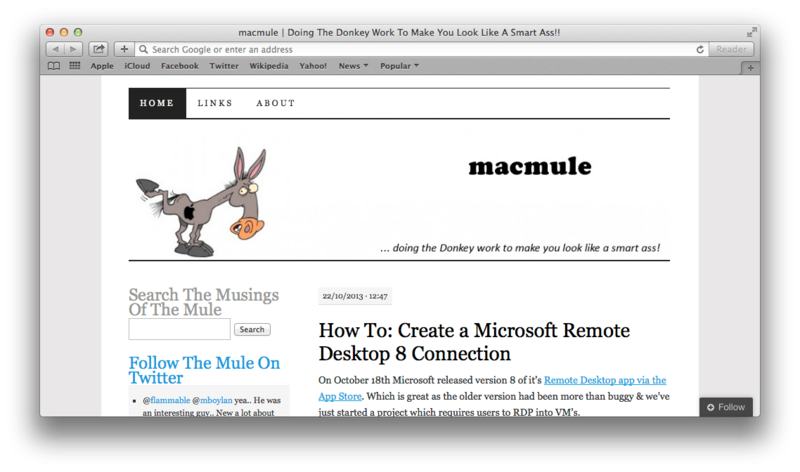 (Obviously, replace https://macmule.com with the correct homepage for your org). Once all have been deployed, your Safari 7 should launch to the Homepage as per Safari 6. Hi can u plz tell what key is to be used to set First run page [when set to any particular URL and launch safari it should be opened with that page, once closed and relaunched previously set homepage should be opened] in safari. Not sure. Never tried that. Guessing the 1st run is built into the app & not changeable.